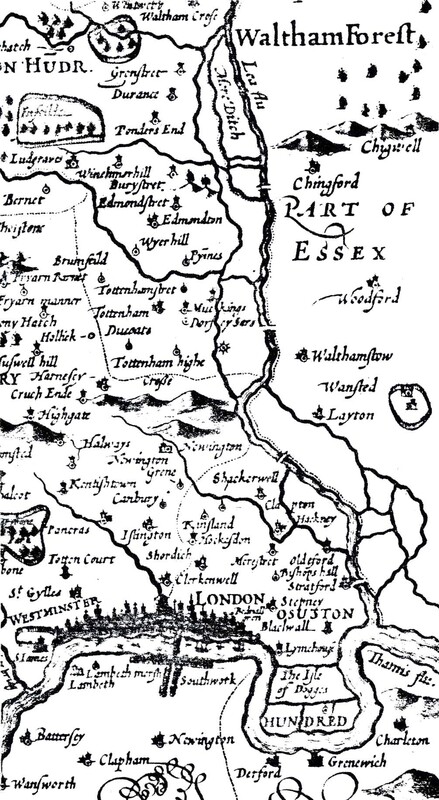 These early maps show what a small area our modern London was then built up. As a result, the Lea Valley and New River are seen clearly. 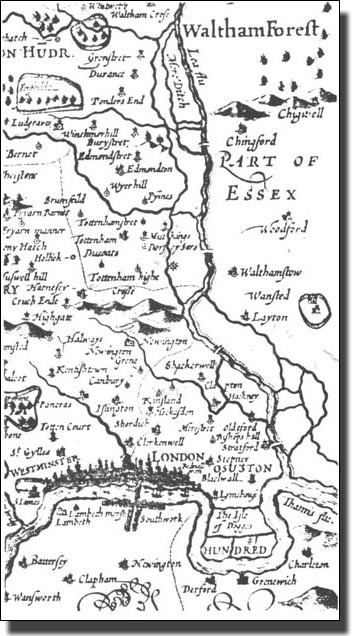 At this time, almost everyone in London and Westminster lived within a mile of the Thames. Anyone further out lived in a village.